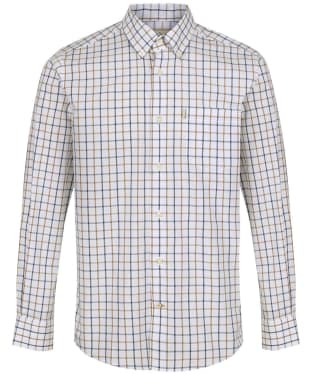 Explore Barbour's extensive and interesting association with the famed Tattersall cloth, with our Barbour Tattersall Shirts collection. 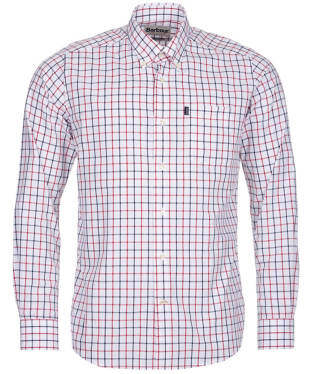 A striking country heritage cloth that boasts an intricate weave, this specific design has become a household favourite with ladies and gents all over the world - thanks to its check pattern that blends alternating colours into a unique formation. 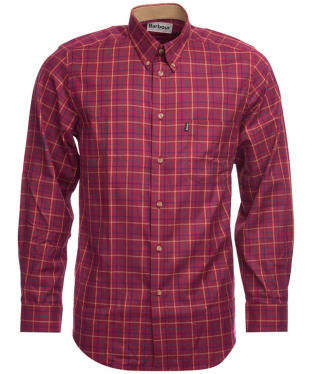 Acquiring its name from the legendary bloodstock auctioneers house, Barbour's association with this meeting place for sporting elite brought the classic fabric into the fashion ranks, and is as popular today as it ever was. 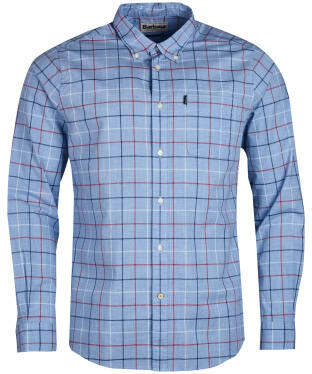 Our array of Tattersall shirts boasts a vibrant colour palette with neutral, earthy tones playing with bright reds and ocean blues for a distinct pop of colour to your wardrobe. 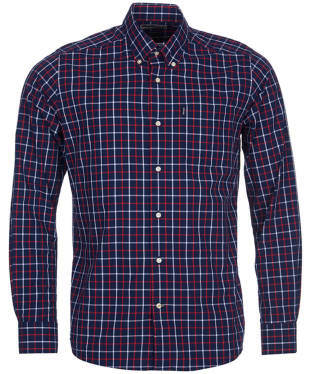 Versatile, long sleeved styles with signature pockets showcase the iconic Barbour appeal - whilst short sleeves are great for year round transeasonal wear thanks to their easy layering style. 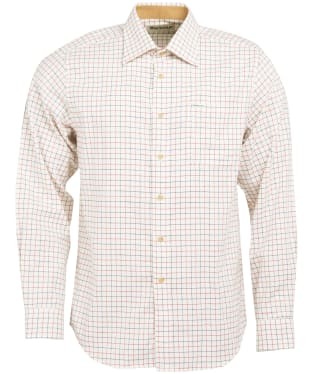 From the classic to the contemporary, everyone needs a Tattersall shirt. 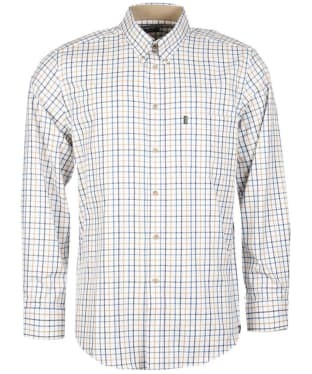 Styled in a tattersall design for that classic country look, the Men's Barbour Tattersall 4 Regular Shirt gives you a timeless look that remains right on trend. 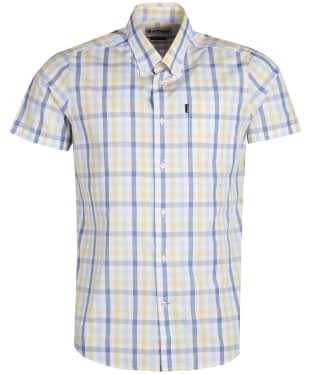 Cut from 100% cotton for unbeatable comfort and all day wear the shirt also features a button down collar for a neat contemporary finish. 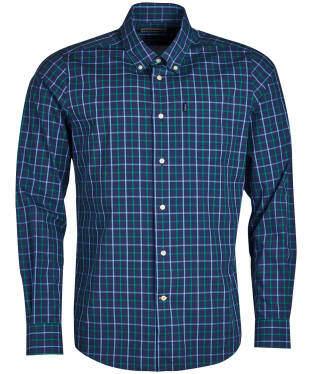 The Barbour flag branding to the chest pocket adds that final stamp of style and quality to round of a shirt that is sure to be a wardrobe staple for many a season to come. 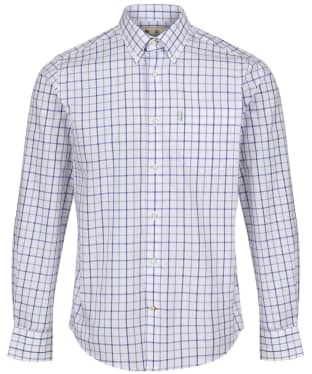 A timeless piece perfect for any stylish gentleman, the Barbour Endsleigh Tattersall Shirt will keep you looking smart no matter what the occasion. 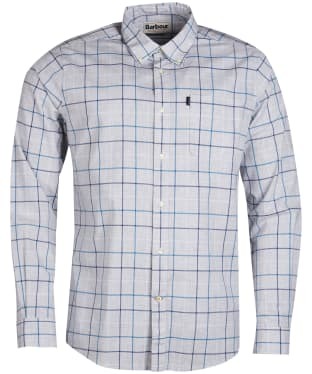 Cut to a tailored fit, this shirt will skim over the shoulders and provide ease of movement through the body for a comfortable feel. 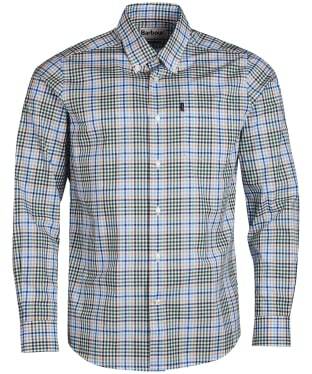 The mid scale Tattersall design lends a nod to the classic country heritage of the Barbour brand. 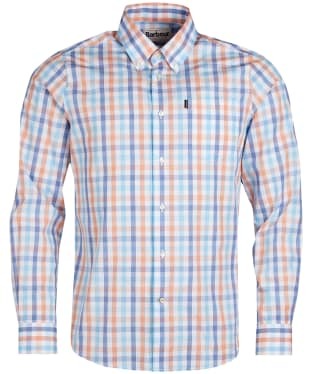 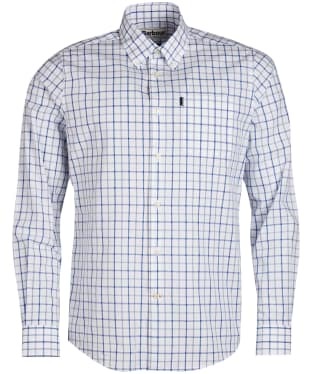 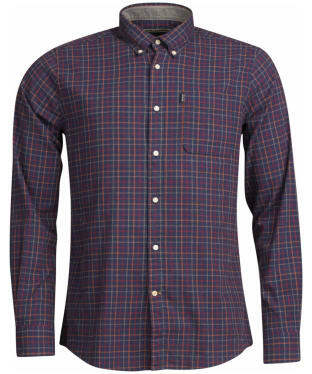 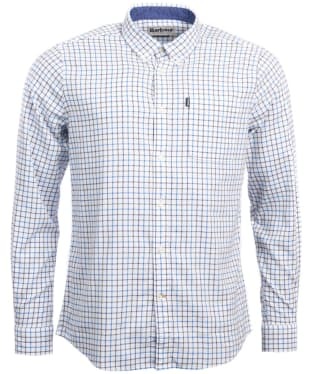 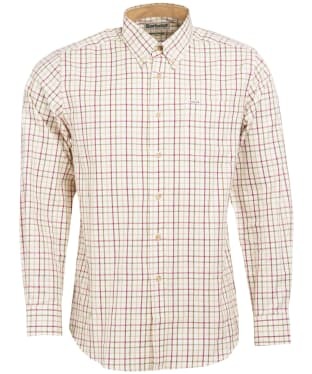 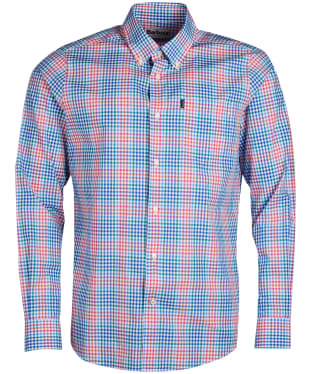 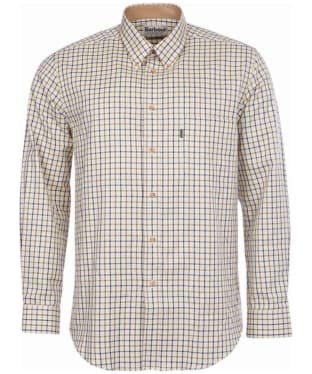 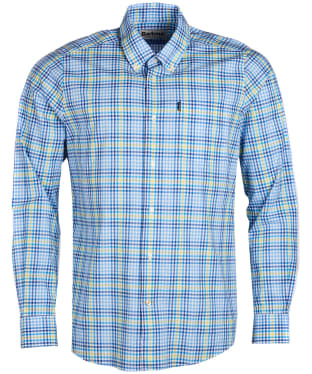 Barbour Men's Field Tattersall Shirt is a member of the Barbour sporting shirts family. 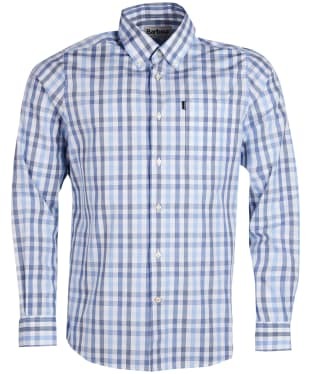 Renowned for quality and wearability, Barbour sporting shirts are essential to the shooting wardrobe. 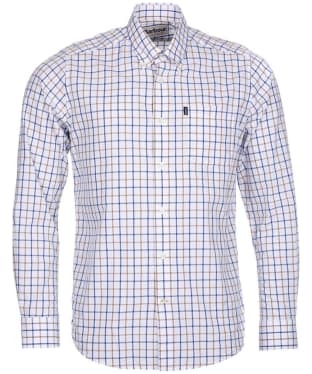 Ideal for shoot days and weekends, the superbly cut, 100% cotton shirts are available in an ever-increasing choice of checks, Tattersalls and designs, either in a classic collar or button-down and generously tailored with a good old-fashioned 'tuck-in' length for extra comfort.